No. 1121 Private Edward Wearne, born Richmond, Victoria, 1893. 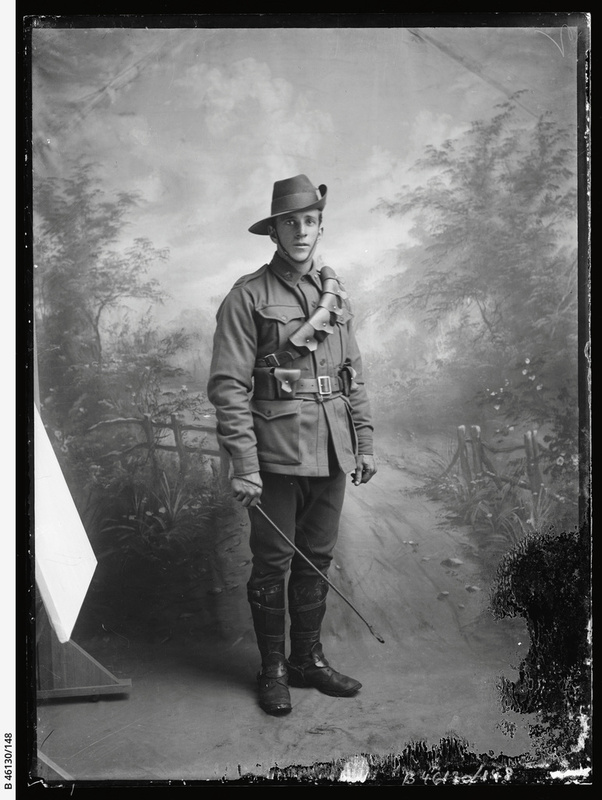 Enlisted 3rd Light Horse Regiment, 11 January 1915. Served Gallipoli, Western Frontier Force, Egypt, and France. Returned to Australia 1918. Negative, glass (half plate); 6.5" x 4.75"